Summary: Let me ask – if we were to start this nation all over again today, do you think we would put “In God We Trust” on our currency? 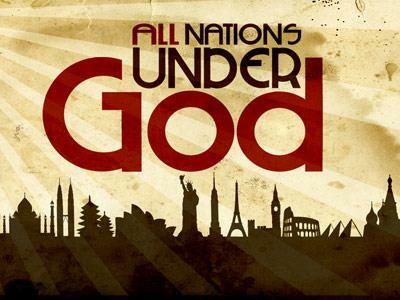 Are we a nation still under God? Let me ask – if we were to start this nation all over again today, do you think we would put “In God We Trust” on our currency? Are we a nation still under God? It was a cold winter day on January 20, 1981, the clouds threatened to snow any minute. This was the day when Ronald Reagan was sworn in as president. He did something that no other President before him had done – he was sworn in on the west side of the capital overlooking the Washington Monument. Did you know that the average age of the great civilizations in history lasted only 200 years? Technically that means that America is on borrowed time! There is no question that America is a hurting nation and seriously showing signs of crumbling from within! How is her pulse? • Even though we only have 6% of the world’s population, we have 80% of the world’s divorces. • America leads the world in murders, rapes, violent crimes and drug use. 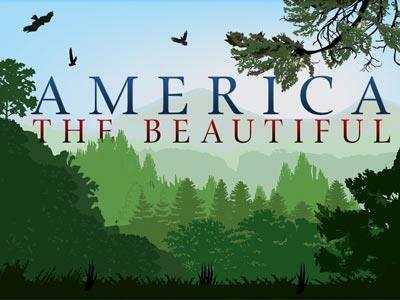 • America consumes 79% of all the whiskey, liquor and beer in the world. • America has the highest high school drop out rate of any other industrialized nation in the world. And we spend more on education than any other nation. You tell me – how strong is her pulse rate? Is there still any sign of life? Does America have a heart problem? Has sin so clogged her arteries that there is very little blood flow left? America’s greatest threat is not – terrorism, liberalism, socialism, atheism, revisionism and intellectualism. It’s not North Korea, Iran, India, Pakistan or China. America’s greatest threat is not bigger government, spineless politicians, and rising debt – her greatest threat is God! 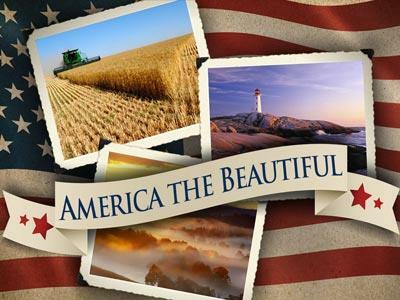 The way I see things – America is ripe for revival! In this verse God not only says that there’s a possibility of revival but also the probability of revival. This verse is not just for Israel but for God’s people anywhere at any time! God’s people with God’s power 233 years ago birthed this great country and today we as God’s people with God’s power can bring a rebirth to this nation! Revival starts only with the people of God who are called by His name, gathered in His house, dependant on His Spirit and armed with His Word. Think about it – revival is not for the sinner but for the saint! Because sinners need regeneration and saints need revival! My biggest concern is that God’s people are waiting for America to get right first and then things will get better! For example – if we could just elect enough godly people to government, get rid of all the abortions, end the drug addiction and save social security – then everything will be better! You see - if we really get down to it – instead of the church waiting for America to get right, I think America is waiting on the church to get right! It’s not the atheist, Buddhist, abortionist and the Satanist that’s need revival…it’s the lukewarm Christian and the lifeless Church that it and it starts right here with me and this church! My goal today is to turn on the light for some and light up the burners for others! God is saying to all of us – “If My people who are called by My name” will do 4 things, there will be revival! This is a pivotal prayer for America! 1. We Must Conquer Pride. “Humble” = to bend the knee or submit to authority. This is one of the essential ingredients to experiencing revival in a church, city, county or country! Right now my concern is that we haven’t gotten low enough to experience revival!